Life has been really a bit crazy around here. Scott’s parents have been visiting with us since last Thursday and we have hardly sat down. They are getting a front row seat to the business of being SAHM to three active kids under 6. They have accompanied us to cross country meets, birthday parties, soccer games, karate class and down to school every morning. They also got to have lunch with the kids at school and take a peek at their classrooms. 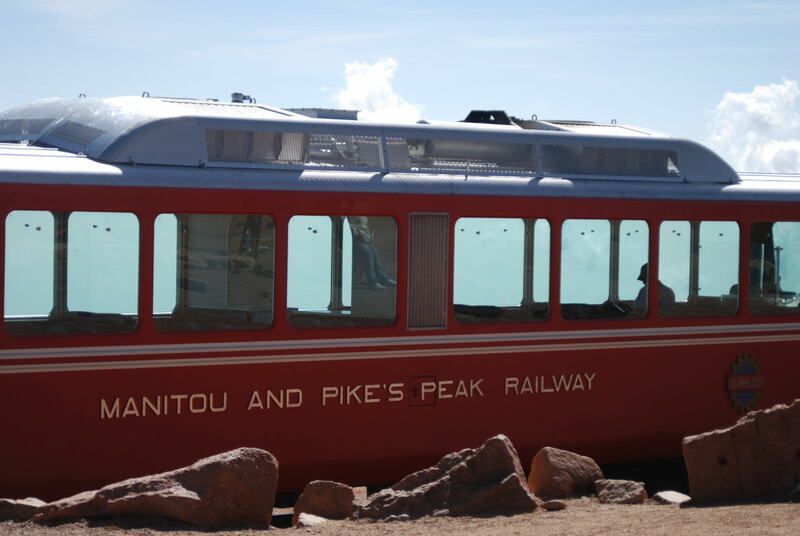 Today, kid free, we rode the Cog Railway up to the summit of Pikes Peak. The weather could not have been better and you really could see to Kansas from the top. We had some of those famous donuts made only at the summit (secret recipe) and took tons of pictures. Stay tuned for more…this weekend we are camping at Golden Gate State Park. What a breathtaking view from the summit! Scott’s parents enjoying the view from the top. Another beautiful view…there really isn’t a bad one.